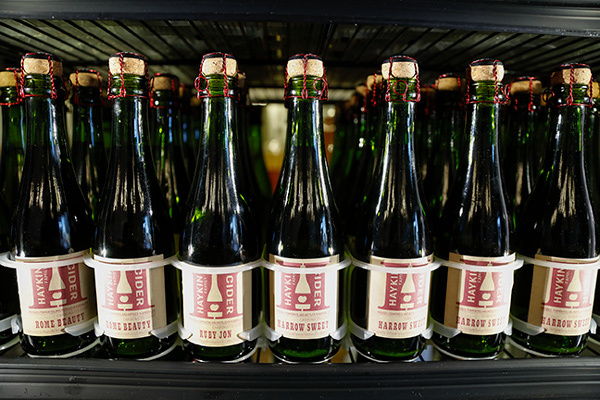 AURORA | Ciders have long been a favorite for the beer-averse or those who can’t face another $15 cocktail. But Daniel Haykin sees far more in these bubbly apple beverages than they are often given credit for. He doesn’t see a gluten-free beer replacement, but a drink with the same complex notes wine lovers find in a Champagne or Prosecco. “Apples are not the delivery mechanism for other flavors,” he said this week in his new Aurora cidery, excitedly discussing a beverage he admits he is prone to obsess about. True, Daniel notes, they are a fine substitute if someone doesn’t want a beer. But cider can be — and at the new Haykin Family Cider in Aurora it is — much more than a beer replacement. They are first choice. They are an art form. 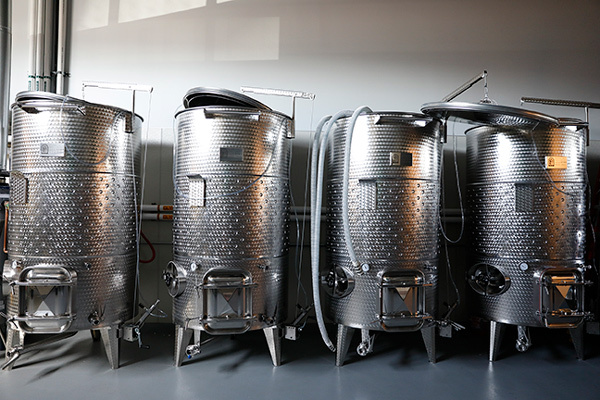 “We hope to elevate apples much the way wine makers elevate grapes,” Daniel said. The new cidery opened Feb. 1 at East 33rd Avenue and Peoria Street, a few feet west of the new bustling R-Line light rail tracks. The cidery at 12001 E. 33rd Ave. is also about five minutes from the Stapleton neighborhood as well as the bustling Stanley Marketplace at East 25th Avenue and Dallas Street. The location is ideal, Daniel said, because it takes advantage of the northwestern edge of Aurora’s emerging status as a drinking and dining hot spot. A Smoky Hill High School graduate, Daniel said that when he was growing up in Aurora, he didn’t really view the city, let alone this corner on the north end of town, as the hub it has become today for something like this. It used to be, he said, that Aurora residents looking to go out headed to Denver, grabbed dinner and drinks there — and forked over the sales tax dollars on that side of Yosemite Street — only to come home to Aurora when they were done. “Now Aurora is kind of flipping the script,” he said. 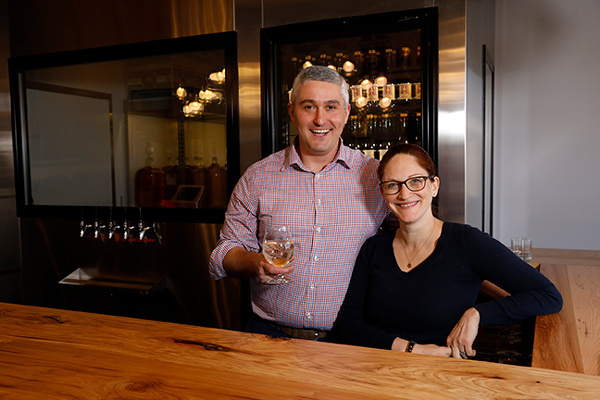 Already, in just the few weeks they’ve been open, the Haykins have seen a steady influx of the regular customers most new breweries get — namely those sort of beer tourists looking to try every new brewer in town. But there is another segment Daniel said he wasn’t really expecting. “There are a lot of pro-Aurora people coming in here,” he said. For an Aurora kid, that’s been a nice development, he added. “I’m proud that I grew up in Aurora and now I am bringing a business like this back into town,” he said. 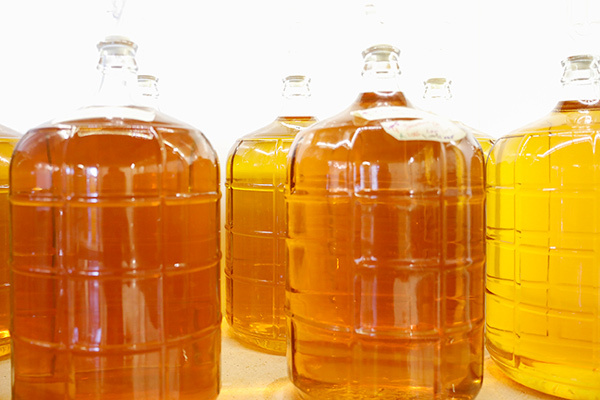 But the key to making sure the cidery keeps humming is a tasty array of ciders on tap and in the bottle. 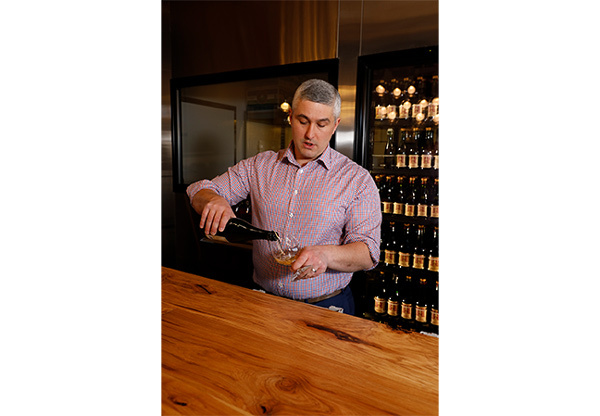 Daniel said his goal is to not just turn customers into cider fans, but to help them understand the centuries-old drink in a way most people don’t today. For starters, he said, it isn’t a beer. 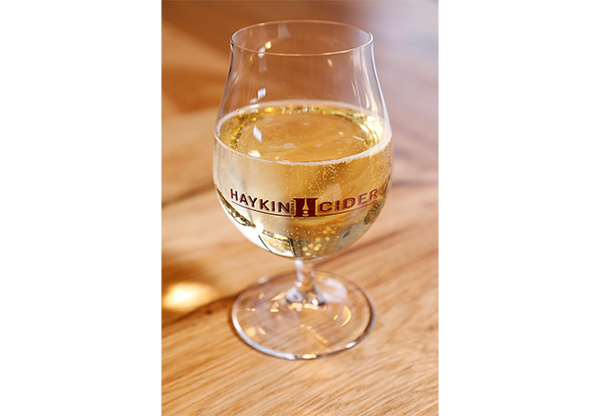 The brew is never heated the way a beer is and cideries like Haykin aren’t licensed like brewers. They are licensed like wine makers. That’s a key distinction, he said, because like wine, ciders rely on a simple mix of water, apples — and in some cases pears — and yeast. That’s it. From that, much the way a wine maker does with grapes, Haykin said he can pull out a variety of flavors, from vanilla to pineapple to banana. While apples aren’t as characteristic from one side of an orchard to another, varieties and environmental conditions are critical, Daniel said. He focuses on Colorado crops, and this is a state with a long history of apple farming, but supplements from other apple-friendly places such as the Yakima Valley in Washington. For now, Daniel said the company is focused on building the business at the cidery and looking for the right fits for distribution. The cideries are available at a few higher-end Denver wine shops and they are looking to expand to restaurants, too. Hopefully, he said, they will be able to expand at some point beyond the at-times cramped cider house they are in now, where a variety of equipment is on casters so it can be rolled in and out as needed.